Yes, the beaches in the Beach Boys Surfing USA are real famous surfing beaches. San Diego is a great surfing area, and has five of the beaches from this hit song. 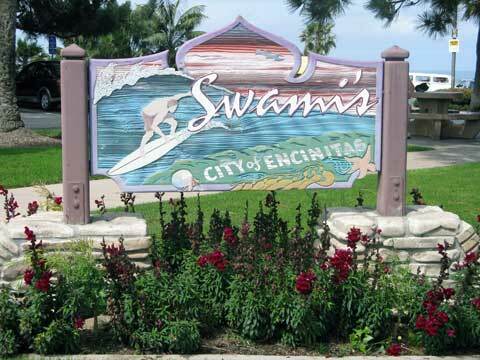 Many websites that show the lyrics have them wrong, for example it is "Swami's" beach (see picture below), not "swammies" or whatever they might call it.